At the AsiaVision Awards in Dubai that took place Saturday evening, Kiara was seen in a white Stéphane Rolland gown. Hair in a topknot, her look was finished out with emerald studs. Loved everything about this appearance. The hair, make up and the outfit all compliment each other. Kiara owns the look. Fabulous! This is iconic! Would love to see more of such polished, high fashion looks on other actors/actresses rather than formulaic, flashy and disjointed looks. This is the best any Bollywood celebrity has looked in a long time. Se looks lovely. So much so that i wish she had saved it for another event? She’s totally rocking this look, so sophisticated! One small little thing, the shape of that cutout is a little finny and now i can’t seem to unsee it! Is it okay to wear such low cut gown in Dubai? Haha… okay… thanks. :) I heard that in UAE the dress code for women at outside in public places is modest neckline, shoulders covered and dress until knee line. So that’s why I asked. Coming to the look, why doesn’t Sonam ever have this kind of smooth makeup. She is always in white pancake makeup and she claims herself as fashionista….. joker. She has fared far better than many top shots on international platforms . No makeup – fitting- styling lacunae. She carries it off fantastically.A perfect 10! Loved it. Just a little thing, had it been one size less knee down, it would have look more stunning. 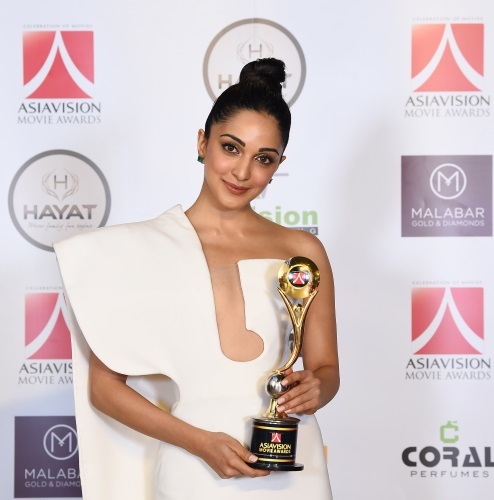 I’m so happy that her décolletage hasn’t been heavily pushed up the way it is when most other Bollywood actresses choose to wear a plunging neckline. This looks tasteful and sophisticated. I also love that she kept her makeup and hairdo simple and really allowed the silhouette of the dress to shine. This is how you do high fashion! Can’t find a single thing to fault in this look….fabulously done! This is the most classy and sophisticated anyone has looked in these pages for a long time. Very modern, sophisticated and polished look. Well done! She looks absolutely fabulous! Love the gown and her earrings! Such a well done look. And this is how a designer does the sheer panel on the dress, so subtle that one doesn’t even notice easily. Stunning outfit!